“One of the greatest maladies of the blogworld is the disease of clever-seeking. I’ve seen it in myself and I’ve seen it in others, but it’s unhealthy no matter where it’s found. What I’m talking about is the insatiable drive to say something witty and clever, something that catches people’s attention whether it’s balanced and helpful or one-sided and harmful, something that pricks people’s minds whether the syringe is full of medicine or poison. There’s a lot of substance-less rhetoric out there, and those who produce such rhetoric seem to have the bottomless gift of making clever posts seem insightful and true even though they are often neither. Or maybe they’re both, and the post (or comment) is still suffocated by its own wit. It’s just hard to resist the urge to be clever. Tribute to Tim Keller: This was a fantastic tribute to Tim Keller written by one of his proteges. It’ll deepen your respect for Keller, and provide several insights into spiritual leadership. Tattoos and the Paradox of Preaching: What are the parallels between tattoos and preaching? Read this fascinating reflection to find out! I found this to be a thought-provoking seminar on the topic of discipleship and the spiritual transformation that comes as a result of loving and following Jesus. Smith highlights the power of habit and the necessity of engaging God with our affections. Loving God with our minds is not enough–otherwise we are beings filled with intellectual knowledge who lack the depth that comes from enraptured affections. Affections compel us to apply knowledge and imitate the Object of our deepest longings. Smith’s thesis is that “Discipleship is the rehabituation of your loves,” which illustrates a biblical truth crucial to our spiritual reformation: that we become, or we reflect, what we worship (for more on this topic see G.K. Beale’s We Become What We Worship)–examples of this are seen in Psalm 115 and 2 Corinthians 3 (culminating in 3:18). Lately, I’ve been reading John Wooden’s book, A Game Plan for Life: The Power of Mentoring, in which he highlights seven people who mentored him and rounds out the book with seven people whom he mentored. 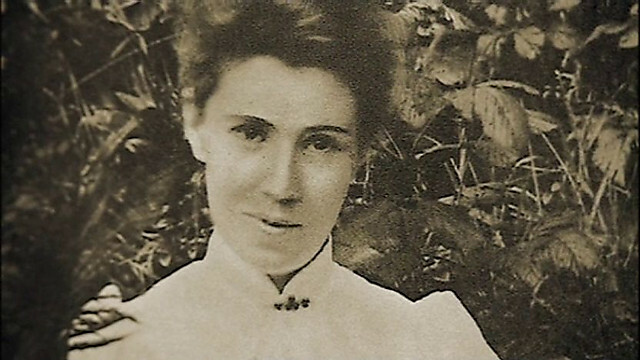 “I remember one evening, when we were still a young couple, Nellie looked at me very seriously and said, ‘John, I want us to make love every single day of our marriage. And I don’t mean that sexually–it can be a look or a touch or a kind word or an action. I mean that I want us to actually create love in our home each and every day of our lives.’ That was one of the simplest and most profound ideas I had ever heard. That’s exactly what Nellie sought to do, and I found that the love she created was a blessing to our family, and to other people as well…” (John Wooden, A Game Plan for Life (New York: Bloomsbury, 2009), 99. May our homes reflect everyday love-making! I love David Platt’s vision for engaging our kids with the gospel message, and cultivating an environment influenced by the light of Christ. (from A.W. Pink, The Life of Elijah (East Peoria: Versa Press, 2011), 63. Most of us don’t live as though we’re working for Jesus. Sure, in the back of our minds, we know that Jesus is our ultimate Employer; but that realization doesn’t often run through our thoughts. But when it does–when we recognize that Jesus is our Master and glorifying Him is our primary motivation, our work, regardless of what we do, becomes an act of worship. Let us learn to approach our work–all forms of it–as though we’re tangibly serving Jesus. Praying with you that God will teach me, teach us, to work this way! Sebastian Treaeger & Greg Gilbert, The Gospel at Work: How Working for King Jesus GIves Purpose and Meaning to Our Jobs (Grand Rapids: Zondervan, 2013). To the choirmaster: according to The Sheminith. Everyone lies. We’re all guilty and so are all those who are around us. Except one. One doens’t lie. One doesn’t speak falsely. One promises and then always acts. This one is the Lord, the God of all creation. He is faithful and true and his words are pure. Let us trust him and delight in his trustworthiness. All Scripture, even the hard parts. It is good for our souls like a cool drink on a hot day. It is nourishing our bodies like a hearty meal after a day’s work. It is good for our minds like an exercise program that strengthens the body. Each time we open the Word we are treated with nothing but goodness. Let us thank God for the grace of His Word. That’s Proverbs 30:5 and how delightful it is to think about. Not only is the Word of God true but it proves itself true. It ends true and shows its trueness. And then, the second half of the proverb gives us the result: God proves himself a shield. Take refuge in His Words and it is a shield of protection for us. We need not fear tyranny, terror, or anything fearful if we have run to the refuge of weary souls and found it in His Word. It is not great talents God blesses so much as likeness to Jesus. I’d like to more consistently live by these, why don’t you consider joining me. Ready… Set… Go! D.A. Carson, The Gospel According to John (PNTC) (Grand Rapids: Eerdmans Publishing, 1991), 135. This month Christian Audio is offering a free audio download of R.C. 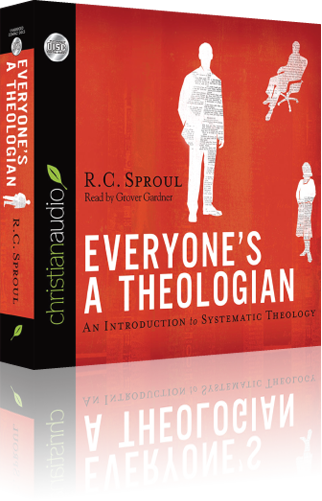 Sproul’s Everyone’s A Theologian. His book is a basic systematic theology, which is an overview of Bible doctrine. While I haven’t read it, I highly recommend it based on other books by R.C. Sproul that I have read. Download Here! I appreciated this fresh articulation of the doctrines of God’s sovereign grace–from start to finish. 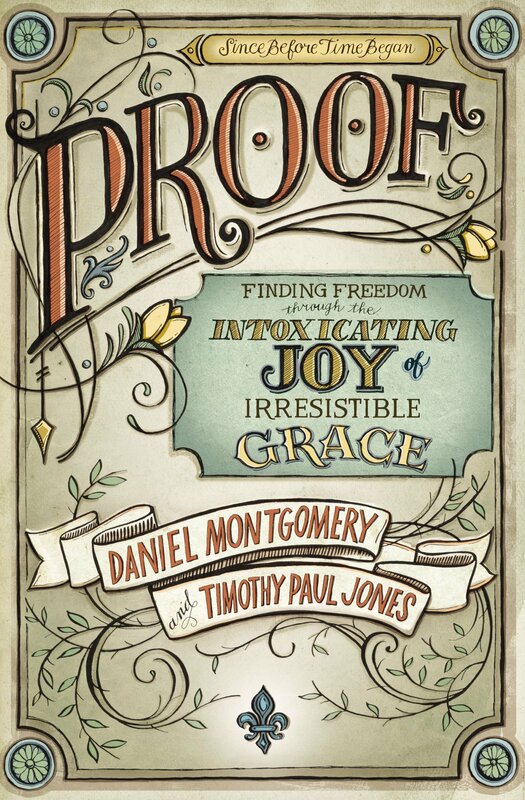 PROOF: Finding Freedom through the Intoxicating Joy of Irresistible Grace by Daniel Montgomery & Timothy P. Jones (Zondervan, 2014). P-Planned Grace: Before time began, God mapped out the plan of salvation from first to last. God planned to adopt particular people as his own children; Christ offered himself as a sacrifice for these people’s sins and as a substitute who satisfied God’s righteous requirements in their place (John 10:11-18; Ephesians 1:4-12). R-Resurrecting Grace: Everyone is born spiritually dead. Left to ourselves, we will never choose God’s way. God enables people to respond freely to his grace by giving them spiritual life through the power of Christ’s resurrection (John 5:21; Ephesians 2:1-7). O-Outrageous Grace: God chose people to be saved on the basis of his own sovereign will. He didn’t base his choice to give us grace on anything that we did or might do (John 15:16; Ephesians 2:8-9). O-Overcoming Grace: God works in the lives of his chosen people to transform their rebellion into surrender so taht they freely repent and recognize Christ as the risen King (John 6:44, 65; Ephesians 2:4-10). F-Forever Grace: God seals his people with his Holy Spirit so that they are preserved and persevere in faith until the final restoration of God’s kingdom on the earth (John 10:27-29; Ephesians 1:13-14; 4:30). Gospel truth produces gospel change. At least, it should. 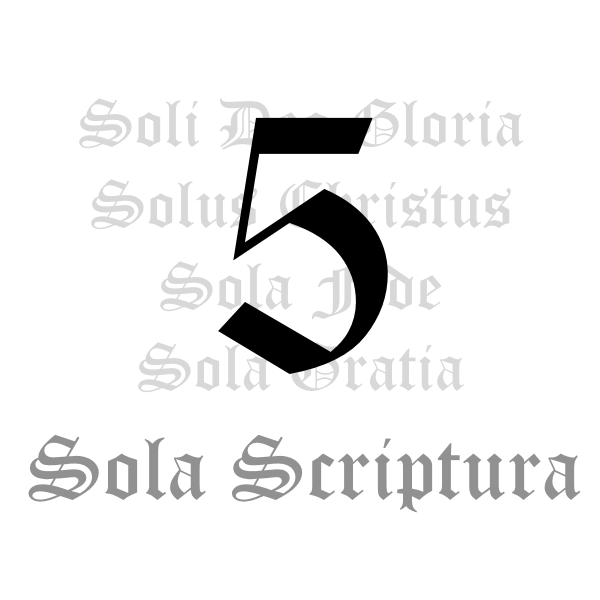 In the following article “Justification vs. Self-Justification”, Ray Ortlund, Jr. explains how doctrine shapes church culture–“grace-justification” should produce an atmosphere of grace and acceptance. Highlights: We are justified by faith in Christ; He receives our punishment for sin and we receive His reward for righteousness. But, “self-justification is the deepest impulse of the human heart”. We intellectually embrace justification by faith, but functionally we live by self-justification. We desire to save ourselves… We judge others who live by different standards… We compare ourselves to others (who are worse) in order to justify our sins… We fear man–insecurity, anxiety, etc… We manipulate and condemn… all for the sake of self-promotion and self-validation.